Biography: Yingbin Liang received the Ph.D. degree in Electrical Engineering from the University of Illinois at Urbana-Champaign in 2005. In 2005-2007, she was working as a postdoctoral research associate at Princeton University. In 2008-2009, she was an assistant professor at the University of Hawaii. Since December 2009, she has been on the faculty at Syracuse University, where she is John E. and Patricia A. Breyer Endowed Associate Professor. 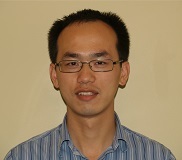 Dr. Liang's research interests include information theory, machine learning, statistical signal processing, optimization, and wireless communication and networks. 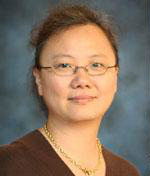 Dr. Liang was a Vodafone Fellow at the University of Illinois at Urbana-Champaign during 2003-2005, and received the Vodafone-U.S. Foundation Fellows Initiative Research Merit Award in 2005. She also received the M. E. Van Valkenburg Graduate Research Award from the ECE department, University of Illinois at Urbana-Champaign, in 2005. In 2009, she received the National Science Foundation CAREER Award, and the State of Hawaii Governor Innovation Award. 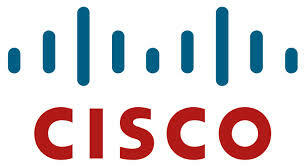 In 2014, she received EURASIP Best Paper Award for the EURASIP Journal on Wireless Communications and Networking. She served as an Associate Editor for the Shannon Theory of the IEEE Transactions on Information Theory during 2013-2015. Biography: Lifeng Lai received the B.E. and M.E. degrees in Information Science and Electrical Engineering from Zhejiang University, Hangzhou, China in 2001 and 2004 respectively, and the PhD degree in Electrical and Computer Engineering from the The Ohio State University at Columbus in 2007. He was a postdoctoral research associate at the Department of Electrical Engineering, Princeton University, from 2007 to 2009. He is currently an associate professor at Department of Electrical and Computer Engineering at University of California, Davis. His current research interest includes information theory, stochastic signal processing, machine learning and their applications. Dr. Lai was a Distinguished University Fellow at the Ohio State University from 2004 to 2007. He received the Best Paper Award from IEEE Global Communications Conference (Globecom) in 2008, the Best Paper Award from IEEE International Conference on Communications (ICC) in 2011, the Faculty Early Career Development (CAREER) Award from the National Science Foundation in 2011, Northrop Young Researcher Award in 2012, and the Best Paper Award from IEEE International Conference on Smart Grid Communications (SmartGridComm) in 2012. He served as a guest editor for IEEE Journal on Selected Areas in Communications, Special Issue on Signal Processing Techniques for Wireless Physical Layer Security. He is currently serving as an editor for IEEE Transactions on Wireless Communications, and an associate editor for IEEE Transactions on Information Forensics and Security.